One of the most common Fair Labor Standards Act Violations that costs employers millions in fines and penalties is incorrectly calculating Regular Rate of Pay. Two employee groups that receive a majority of their income from income that is not a straight hourly wage include tipped employees and commissioned employees. While tipped Employees are often thought of as employees in the restaurant or food service and hospitality industries. Even so, tipped employees can be found in nearly any sector and can include chauffeurs, barbers, masseuse, furniture deliverer and many other jobs. Some employers calculate tipped employees overtime wages based on the employer minimum of $2.13 an hour. The Department of Labor (DOL) has specific guidelines outlining how a tipped employee must be paid wages and overtime wage. Likewise, the DOL also outlines how commissioned employees should be paid. Commissioned employees typically receive a large percentage of their income, if not all of their income, from performance-based commissions. Too often, employers assume that when these employees work overtime, those wages are based on a minimum federal wage. This is wrong. The purpose of this article is to outline how tipped employees and commissioned employees are paid. This is article 2 of a 4 Part Series on FLSA Violations: Regular Rate of Pay. Under the Fair Labor Standards Act, employees are considered to be tipped employees if they regularly receive more than $30 in tips in a month. Employers are allowed to consider the employee’s tips as part of their wages, but there are still very specific guidelines around calculating regular rate of pay for tipped employees when paying them overtime. Federal law allows employers to credit an employee’s wages up to $5.12 per hour. Employers must pay employees at least $2.13 in direct cash wages. 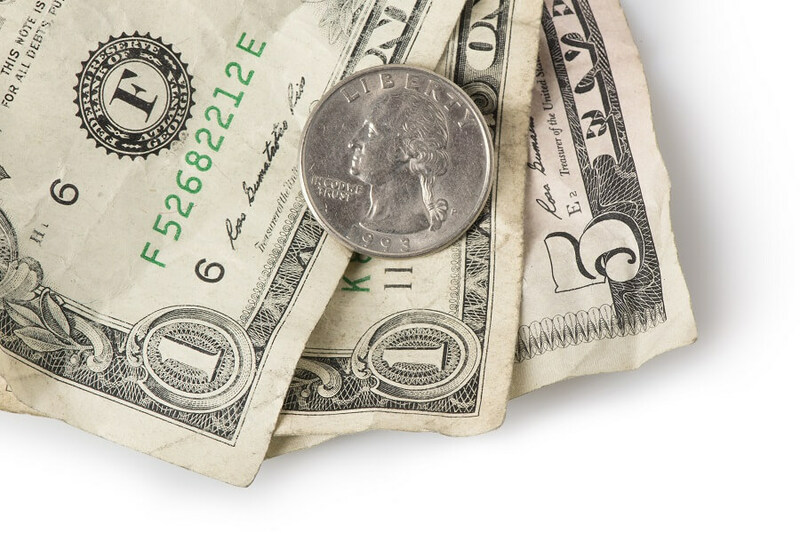 If the employee does not make at least $5.12 an hour in tips, the employer is required to pay the difference so that the employee’s minimum wage meets the Federal minimum wage of $7.25 an hour. In 29 states, the minimum wage is higher than the federal minimum wage and tip credit is usually handled differently, depending on their state’s law, and sometimes city law. Just because an employer is paying a tipped employee $2.13 in hourly wages does not mean that the employees overtime hourly wage is $3.20 (time-and-a-half of $2.13). Additionally, if an employee earns more than $7.25 due to high tips, the employer does not have to calculate overtime based on the total income of the employee including tips. For example, if an employee earns an average of $15 an hour and works 1 hour of overtime, their employer is not required to pay $22.50 in overtime. Tips are paid at the customer’s discretion and do not obligate the employer to calculate a higher regular rate of pay for the employee. Note: If the employer pays an additional bonus or commission for additional product sold or for high customer reviews, then that outcome-based incentive should be added into the employee’s regular rate of pay. See Article 3 of our FLSA Violations: Regular Rate of Pay Series for more information. However, if the employee is only paid base wages and tips and assuming the employee doesn’t have a higher minimum wage required by local employment law, then the employee’s regular rate of pay is $7.25 an hour. $10.88 – $5.12 = $5.76 per hour in overtime pay. Piece Rate employees can be found in any field, but are common in construction, oil and gas, and other specific jobs. Other piece rate employees include project-based pay for employees and weekly rate employees. In all of these scenarios, employees are paid a specific amount for a designated time frame or project. However, just because an employee is paid for a specific time frame such as a day or a week, or for the completion of a specific project, does not mean that the employee is exempt from overtime pay. The employer must calculate the employee’s regular rate of pay for the time spent during the duration of the pay and then must pay the employee for additional overtime hours spent. The following is how an employer would calculate a piece rate employee who worked 10 hours of overtime during a week. $1,000 for completion of project. Worked 50 hours both weeks. Employee is due premium pay of $4.00 per overtime hour. The first $10.00 is included in the Project Base Pay of $1,000. Employee is due premium pay of $5.00 an hour per overtime hour. When an employee works on a 100% commission basis, the employer is still required to ensure that the employee earns at least minimum wage for the hours worked. The first mistake that some employers make is failing to track hours worked for commission based employees. This results in an FLSA violation and will result in penalties if caught. It can also result in employee lawsuits and reputation risk for the employer. The second mistake often make is when calculating commission-based employee’s regular rate of pay. Too many employers assume that overtime wages are calculated at time-and-a-half of the federal minimum wage ($7.25 x 1.5 = 10.88). This is incorrect. Regular rate of pay must be paid off of the employee’s entire compensation. As commissions are outcome-based, they must be included in the calculations for regular rate of pay. For example, Jane, a mortgage officer, earned $5,200 in commissions for a particular month. During that month, she worked 180 hours during the month with 20 hours of overtime. She worked 45 hours each week. Employee is due premium pay of an extra ½ pay for overtime hours or $14.45 per overtime hour. = $5,489 total pay for the month. Across the United States, many employers pay employees bonus income, shift differential, commission, signing bonuses and other forms of additional income. Calculating an accurate regular base of pay is impossible without accurate time cards, wage income, and bonus income recorded and retained. Plus, many of these businesses also have to comply with local, and sometimes overlapping, ordinances defining Sick leave accrual, family leave & scheduling laws. Additionally, these businesses have to also comply with Federal Overtime Laws, the Family Medical Leave Act and any other national or local laws that are enacted. SwipeClock provides a comprehensive array of workforce management and time tracking tools that can help businesses to more easily stay in compliance with local and national laws. Records are effortlessly kept for years and accrual is automatically tracked and reported to employees according to the state and city laws.